Adding windows to your home is the best way to make a small space feel bigger, and adding natural light to a space can increase a home’s natural beauty without doing much at all. You’ll quickly find though that the tradeoff is in privacy. Doors with large windows in them are popular solution to this problem. But, what can you do to have the best of both worlds? 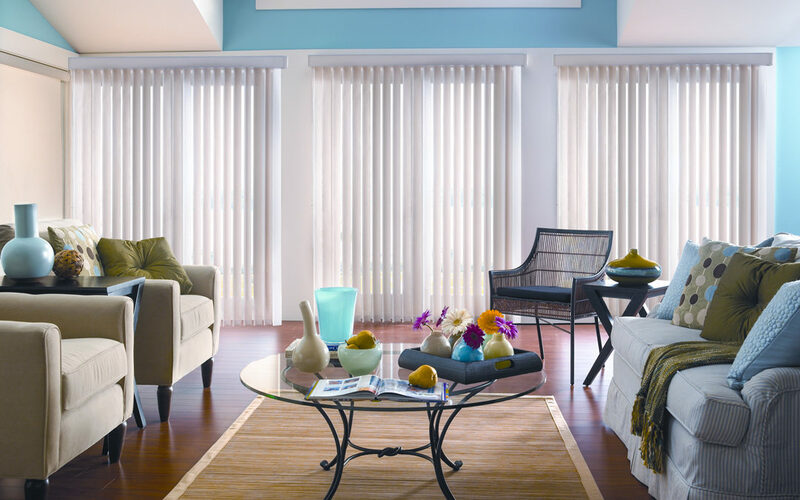 Sunburst Shutters has you covered today with our three tips for buying blinds for doors! – Be mindful of the door handles. Stick to a shallow treatment and one where the operating mechanism for the treatment won’t get in the way. – Hold-down brackets are a worthy investment. A window treatment can flap around when the door is swung open or shut. Depending on the material it is constructed from, this could lead to damage (especially if the door handle continues making contact in the same area consistently). Prevent this by inquiring about these helpful brackets. Sliding glass doors are a beautiful addition to a home that also saves on space in cramped quarters. The larger window provides a lot of natural light but also gives a front-row view into your home. – Be mindful of the other treatments in the room. Coordinating color and style is integral to pulling the room together. – Vertical shades are a superb alternative. And it’s not every day that you see them, either. The treatment should open in the same direction that the door does, keep that in mind. These small side windows are often found flanking your front door. Some windows are frosted, yet others are left transparent. – Shutters are a great solution. Being able to choose the amount of light you let in while shielding unwanted eyes from the outside is their best feature. We find that customers like to leave them shut and then if needed, open them up when extra light is necessary. Not to mention, shutters provide a durable solution in a high-traffic area. Give us a call today at (604) 436-3400! Shutter, Shades, and Blinds – Oh my!